Hey, Guys! How are you doing today? If you are here today, then you probably searching for a way out to set more than one ringtone in your android. Here, I will share the trick how the unrooted android device users can set random ringtones. Previously, I have discussed many tricks that you can try on your android and now it’s time for multiple ringtones. As we all know, Android has revolutionized the smartphone market. It has gained the popularity with pace and became the best OS for smartphones these days. The remarkable development of android device has lured the people towards easiness. Availability of millions of applications in the Google’s Play Store is a bonus for users. This is because of the handiness in getting things from the online market and wide exposure to WWW. Usually, there are a lot of inbuilt features we find on our android device. But setting multiple ringtones at a time is not the option available I am sure. At this time, you need to seek the help of third-party applications, especially for this purpose. 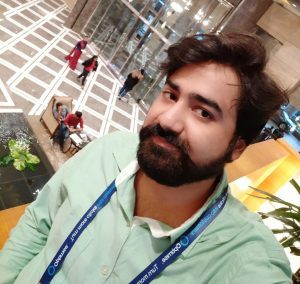 Personally, I have searched for the applications through which I can set multiple ringtones devoid of rooting an android device. Lucky me! I have got it and after using the app, I can say it’s the simplest and easy-to-use ever specifically made to satisfy this purpose. After you get the trick and try it for yourself, and you can also set more than one random ringtone in your android for free. The best of the application is that it’s absolutely free of cost and you’ll enjoy using it for sure. 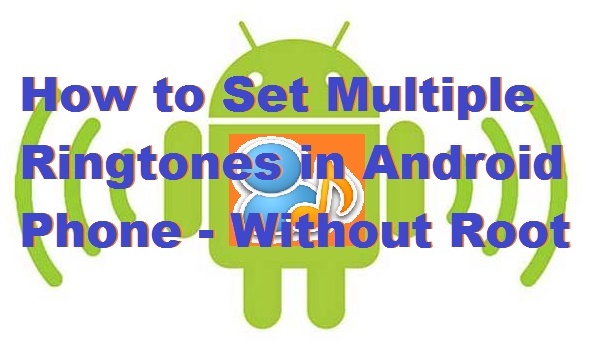 Now that you know there is a way for enabling multiple random ringtones is possible on your android, you must be eagerly waiting to know the trick. It’s true that you can set now multiple ringtones on your android. Surprisingly, you can not only set it on phone calls but can set the ringtones of calls from Whatsapp and Facebook Messenger also. I am not kidding and you can set any song/music too on your Android as the ringtone with this application. There are some Android devices that don’t have a feature to set custom songs as their ringtones. You can use this application in that case too for enhancing the functionality of your device. Download and install this one simple application which I will share below in your android and I can guarantee that you can set multiple random ringtones with ease on your android device. It’s not a problem if you have more than one Android device as you can install it in each of them. So, let’s check out this application and you can download it by clicking the mentioned download link so that it can install directly on your device. Install it to enjoy the amazing feature on your android devices. Click the download button and you’ll get to see the downloading status. Once it gets completed, simply open the application after it gets installed on your android device. A welcome screen will appear in seconds wherein the first tab you will see the option to choose ringtones. Pick the ringtone you want and it will start the preview playing. Select the ringtone of your choice and pick the ringtone/song as your android’s ringtone and you are ready to go. After setting the ringtone, it will be your permanent ringtone unless you make any changes. You can hear the same ringtone/song when someone calls you. This is the best application I have come across to date with which we can set multiple random ringtones on any android device without root. Though there are few more, trust me this application can beat them all in terms of versatility. Install it and you can also set multiple ringtones as your android’s SMS and notification tone. Don’t go with the size of this application as it’s tiny in size but carries big surprises all these days. Try it right away and enjoy the fun of setting ringtones on your android. Say bye to the boring days with one ringtone as you can set them randomly nowadays. That’s it for today Guys! Give it a shot with this cool application and change your android’s ringtone frequently. You can pick any song or ringtone directly from your phone’s storage memory and set it. Next time I will see you with some more cool stuff just like this. Till then do whatever you want to do. Keep visiting and don’t forget to give your suggestions or comments in the box below.